Start with a pickup from your hotel. Then it’s off to the historic Port of Anchorage and Ship Creek area where our city was born. Here you’ll learn about Anchorage’s colorful pioneer history, our early tent city, what life was like here before the age of modern conveniences and how Anchorage got its name. Next we’ll travel past Bootleggers Cove, stopping for a visit to Earthquake Park where you’ll learn about the perils of living on the Pacific Ocean’s “Ring of Fire” and see places where the ground liquefied and massive landslides occurred during the biggest earthquake in US History and 2nd largest earthquake ever recorded worldwide. Next we’ll visit Lake Hood, the busiest seaplane base in the world - watch some of Alaska’s finest bush pilots splashland and then take to the sky outbound for nearby wilderness areas. 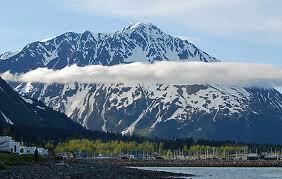 The Chugach Mountains are our last and finest stop. Here you’ll experience Anchorage from the place locals go for stunning vistas and beautiful sunsets. Flat Top Scenic Overlook is home to many Alaskan animals including our favorite, Alces alces gigas, otherwise known as the Giant or Alaska Moose! A short walk to the overlook provides beautiful views of the city of Anchorage and the Chugach Mountains, where more snow falls than anywhere else in the world.